Rublev Lac Dye is a deep red colorant extracted from the crude shellac resin excreted by the lac insect, indigenous to southeast Asia. It is the coloring principle used to make lac lake or Indian Lake, a historical pigment used in manuscript and easel painting until the 19th century. From ancient times, lac dye has been employed in India as a skin cosmetic and for the dyeing of wool and silk, while China has a tradition of usage for leather dyeing. The bright red colorant gave a lightfast tint to silk and wool. It is similar in color to dyes obtained from cochineal and kermes. The color of the dye can be modified by the choice of mordant from violet to red and brown. 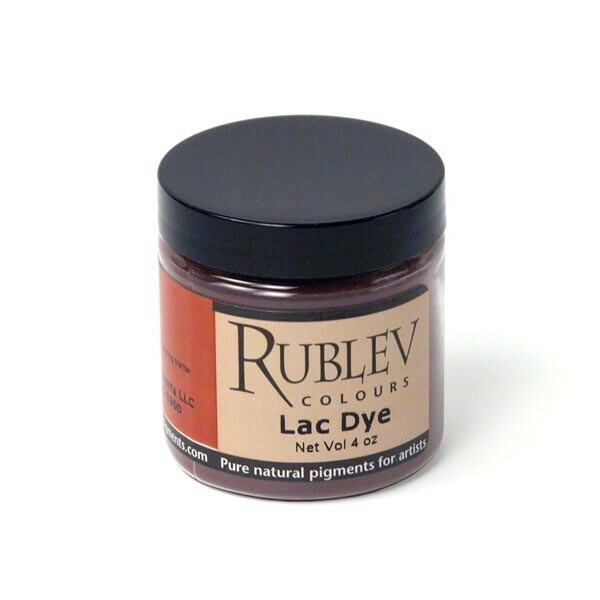 The use of the lac dye can be traced back to 250 AD when it was mentioned by Claudius Aelianus, a Roman writer on a volume about natural history. This dye remained a valuable commodity until the late 19th century, when Perkins an English Chemist synthesized the first chemical aniline dyes, which killed the natural dye industry. The pigment made from lac dye, Indian Lake, was listed by Winsor & Newton in their 1896 catalogue. 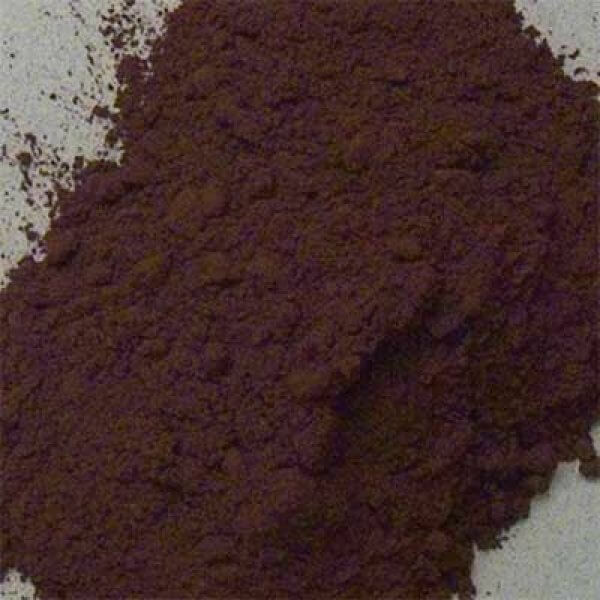 Lac dye is a deep red colorant extracted from the crude shellac resin excreted by the lac insect, Laccifer (Tachardia) lacca (formerly Coccus lacca), indigenous to southeast Asia. The lac insect is most often found on banyan trees (Ficus benghalensis, or F. indica) and on juniper trees (Rhamnus jujuba). The dye develops in a resinous cocoon, known as "sticklac" on the twigs of over 160 host trees in an arc from northern India through to Southeast Asia. The dyestuff is obtained by aqueous extraction of sticklac; a byproduct of shellac production. The operation involves crushing the sticklac and extraction several times with water; insects and other debris are removed also at this stage. The dyestuff is obtained as a precipitate on acidification of the aqueous extract. The resinous residue is further processed to "seedlac" and then to the fully-refined "shellac." The water-soluble dyestuff, lac dye, is composed of of laccaic acid, mainly in the form of ammonium salts. These pigments are present at up to 10% in sticklac that has been harvested before adult insects depart their cocoon. Processed seedlac and shellac have a low content of laccaic acids but retain a yellow water-insoluble pigment, erythrolaccin. Lac dye is precipitated with alumina to make Indian Lake pigment before it can be used in painting. Colors prepared from lac dye are rather more permanent than those from cochineal and kermes (The Chemistry of Pigments, Ernest John Parry, p. 206), but less than madder, according to George Field (Chromatography, 1841, p. 185). Like all lakes prepared from natural dyes, they are not suitable for fresco painting. Lakes pigments made from lac dye perform best in oil and encaustic vehicles, somewhat less in tempera (egg, animal glue and casein) and least of all in watercolor (gum arabic). Lac dye must first be prepared as a lake pigment to be used in painting, because lac dye is somewhat soluble in water. Lac dye is not considered toxic, but care should be used in handling the dry powder pigment to avoid inhaling the dust.